Parts and Pieces gives the reader a unique glimpse into the dark and devious soul of a total narcissist, and how far they’ll go to be the center of attention. If you like captivating characters, unpredictable twists, and psychological suspense, then you’ll love L.L. Spriggs’ riveting tale of corruption and intrigue. 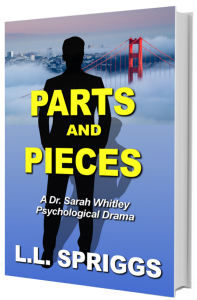 Buy Parts and Pieces today to find out how Sarah resolves her precarious situation.